Read the Italian translation of this blog here. On 5 November 2018, Italian public university Università di Roma La Sapienza inaugurated a new professorship in honor of Bahrain’s King Hamad bin Isa AlKhalifa – the King Hamad Chair for inter-religious dialogue and peaceful co-existence. The professorship, likely starting in September 2019 according to sources, was established with the aim of promoting religious pluralism and co-existence among university students of La Sapienza, and is set to be funded by Bahrain’s Royal Charity Organization (RCO). While the professorship hails religious tolerance in the name of King Hamad, Bahrain has systematically discriminated against the majority Bahraini Shia population. Under these circumstances, La Sapienza’s partnership with the kingdom serves as one of the most concerning aspects of the Bahrain-Italy relationship, as far as religious tolerance is concerned. At the new professorship’s inaugural ceremony, Bahrain’s Minister of Education, Majid bin Ali AlNuaimi, reiterated the kingdom’s persistent international campaign to promote religious tolerance, stating, “In the Kingdom of Bahrain, all cultures and faiths have lived side by side for centuries and today we are happy to live in a multicultural and multi-religious society. 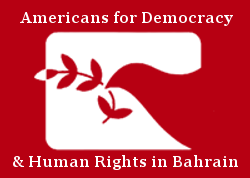 We recognize this diversity as a natural fact of everyday life in our country.” Despite these claims, since the 2011 pro-democracy movement in Bahrain – when Shia religious sites and structures faced widespread demolition – the Bahraini government has systematically discriminated against members of the Bahrain Shia majority population. Shia clerics continue to be targeted and harassed by the government while others have been denationalized, including over 300 individuals in 2018 alone. Bahraini Shia are largely excluded from jobs in the security sector, with 2015 estimates showing that Bahraini Shia make up approximately only 2.5 percent. The Bahrain Defense Force (BDF) even goes so far as to distribute hyper-sectarian materials throughout its ranks. In education, qualified Bahraini Shia teachers face hiring discrimination as the government increasingly relies on foreign teachers from predominantly Sunni countries. At the same time, the government has integrated teachings from Sunni schools of thought while disparaging Shia religious practices and beliefs. Though extensive evidence shows that the Bahraini government systematically discriminates against the majority Shia community, the government has sought to hide these violations by pushing a public international campaign promoting religious tolerance in the kingdom – a campaign for which La Sapienza has provided a further platform for whitewashing religious discrimination. La Sapienza’s new professorship has provided Bahrain a platform to promote its public campaigning for religious tolerance despite evidence of systematic religious discrimination and ultimately failing to engage the Bahraini government critically on such issues. La Sapienza has further been complicit in this international whitewashing campaign, honoring King Hamad with a Laurea Honoris Causa for his commitment to “promoting interreligious coexistence” in Bahrain in 2016 – a cause for serious concern given that, earlier that year, prominent Bahraini Shia cleric Sheikh Isa Qassim was stripped of his citizenship. As Italy strengthens institutional ties with the kingdom at the expense of addressing religious discrimination, it has continued to bolster diplomatic and trade ties with Bahrain. While the Italian Embassy in Manama engages in frequent meetings and initiatives with Bahraini government officials or members of the AlKhalifa royal family, it does not grant the same openness to Bahraini opposition leaders, human rights defenders and activists. This lack of engagement from the Italian Embassy is unsurprising considering the trade relationships between the two states – Italy is Bahrain’s first European trading partner. As recently as January 2019, Bahrain’s National Oil and Gas Authority and ENI, a major Italian oil company, signed a Memorandum of Understanding to begin drilling in Bahrain with a first exploratory well. Italy has additionally strengthened defense ties with Bahrain, with Italian defense company Leonardo SpA – whose major shareholder is the Italian Ministry of Economy and Finances – providing services for the modernization of the technological systems of six Bahraini Maritime Forces military ships and training activities in 2018. Ultimately, Italy has continued to foster closer ties to the kingdom, but ultimately failed to use this leverage to critically engage on human rights concerns such as religious discrimination. Instead, it has continued deepening institutional ties and hailed Bahrain’s international religious freedom campaign despite evidence of religious discrimination. Given evidence of the systematic discrimination of Bahraini Shia by the government, La Sapienza’s partnership with the kingdom serves as a seriously concerning aspect of the Bahrain-Italy relationship. The university has continued to provide a platform for the Bahraini government to continue pushing an international religious freedom campaign while simultaneously whitewashing violations of religious rights and discrimination at home. Ultimately, Italy’s engagement on human rights in Bahrain leaves much room for improvement, including on the issue of religious discrimination, and La Sapienza must revoke the professorship and cease providing a platform for the government to whitewash such discrimination. Claudia Carnevale, Yannick Cocard, and Beatrice Mimo are Rome Advocacy Volunteers with ADHRB.